Alternatives, Inc. is governed by a 25-member Board of Directors. The directors, who serve without compensation, are committed to improving their communities by providing offenders support, supervision, and opportunities for self-improvement. The Board draws its membership from the business community, elected officials, social service agencies, institutions of higher learning, and the community at large. President: Todd Buchanan, Buchanan Capital Inc.
Todd joined the board in 2014. Todd is a co-owner and advisor at Buchanan Capital, a financial services firm which opened its doors in 2002. Todd and his wife Brooke were both raised in Montana and both graduated from Montana State University’s School of Business. They both are deeply committed to Billings and the state of Montana having served on numerous statewide and local governmental and non-profit boards. Todd and Brooke always look forward to more time in the outdoors of Montana with their two children. Lisa M. Skriner, Director of Workforce and Resource Development, has been with City College at Montana State University since January 2005. She was previously the Director of Human Resources, Institutional Research and Grants at Utah State University Eastern and worked in community college administration in the Utah System of Higher Education for 27 years before moving to Montana. 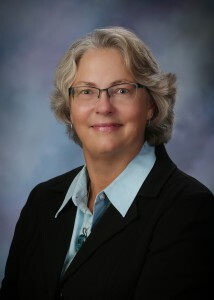 She serves as a member of the BillingsWorks Steering and Education Committees, the BEAR (Business Expansion and Retention) team and is a board member for Beartooth RC & D. Lisa holds a Master’s degree in Human Resource Management and a Bachelor’s degree in Business Administration from Utah State University. Verne Petermann retired as Captain after 30 years with the Billings Police Department. He is a native of Eastern Montana, having attended Dawson College in Glendive, Montana. Verne served with the US Army, 82nd Airborne Division, the graduated in 1976 from Eastern Montana College with a BA in English and a minor in Speech/Communications. He and his wife Karen are active in their church and community and have three grown children. 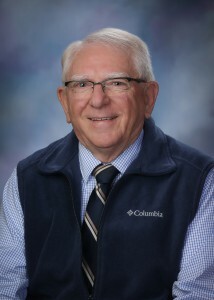 He is a former school board member with the Billings Catholic Schools. Verne has been on the Board of Directors of Alternatives, Inc. since 2011. He is an avid woodworker in his free time. Ziggy originally joined the Board of Directors in 1981. He returned in March, 2007 and now serves on the Screening Committee for Passages, as well as the Community Development Committee. Ziggy served 16 years as Yellowstone County Commissioner before retiring in 2003. He is married with five children and 11 grandchildren and is the co-owner, with his wife of 58 years, in a bakery/restaurant business. He was born and schooled in Los Angeles, eventually settling in Montana in 1974. Ziggy serves on the State Foster Care review board, the Downtown Billings Association, and is chair of the Montana Catholic Conference and Catholic Social Services of Montana. He has 42 years of prison and jail ministry experience. Walt Backer joined the Board of Directors in 2009. Walt is a Butte, Montana native formerly employed by Northwestern Energy in Billings. Walt has a B.S. Degree in Industrial Arts with a Teaching Option and a Physical Education Minor. He has been a Loaned Executive for United Way and member of their Allocation’s Committee. He has been in both Leadership Billings thru the Billings Chamber of Commerce and Leadership Northwestern Energy. He’s also a member of the Billings Engineer’s Club, Billings West Rotary (past Board Member and President). Walt and his wife Nancy married in 1983 and have 3 adult sons.